A Cole (mezzo-soprano, psaltery, drum), Kirkman, K (violin, viola, harp, voice, Tibetan bell). 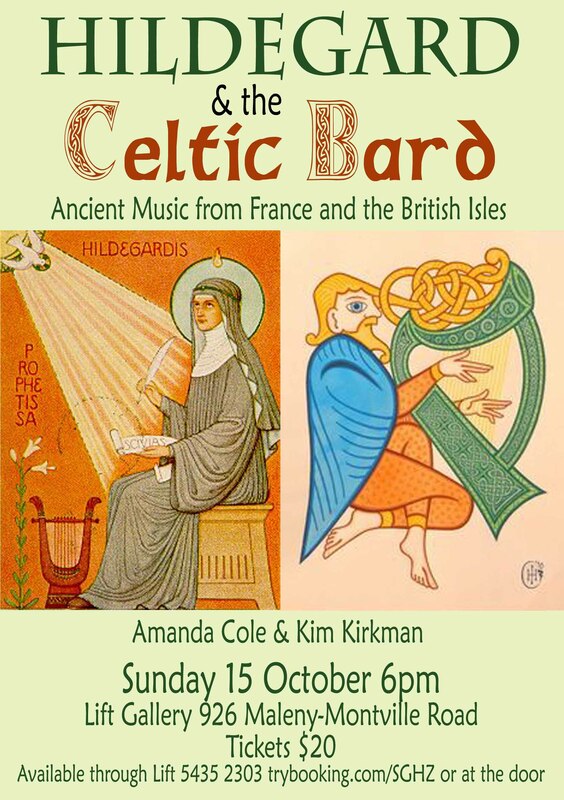 Hildegard and the Celtic Bard. Cole & Kirkman. Forthcoming 2018. A Cole (mezzo-soprano), Brewer, J (harpsichord), N Heymink (bassoon). 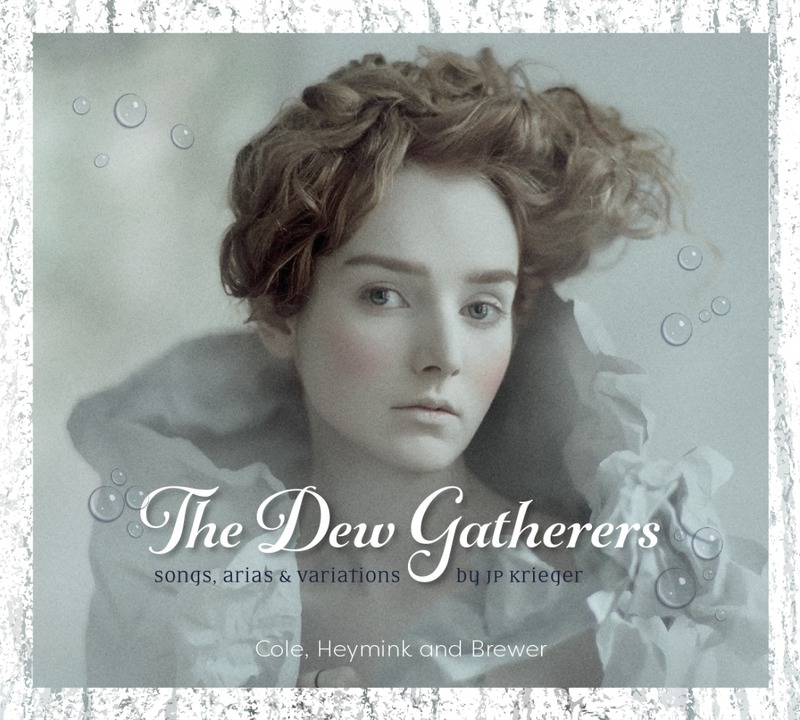 The Dew Gatherers: Songs, Arias & Variations by Johann Philipp Krieger. Cole, Heymink & Brewer. MOVE Records, Melbourne, Australia. Launch 31 August 2017. Cole, Amanda (2017). CD Booklet: Musicological and literary background of Krieger and his operatic works; translations of old German into English. The Dew Gatherers: Songs, arias & variations by Johann Philipp Krieger. MOVE Records, Melbourne, Australia. Cole, A (mezzo-soprano), S Crawshaw (piano) and C Madden (musical and dramatic direction) (2009). Saudade: A Portuguese Songbook. Recorded in Seattle with the support of Jack Straw Recording Studio Artist in Residence Program. Ode Records, Auckland, New Zealand. Cole, A (2009). CD Booklet, including “Introduction” (3), “Saudade and Song” (3-4) “History of Portugal” (4) and program notes and translations (5-28). Saudade: A Portuguese Songbook. Ode Records, Auckland, New Zealand. Cole, A (mezzo-soprano), M Arnold (alto), D Ashton-Smith (conductor) (1999). Soundtrack of The Witch Hunt. Music by Cezary Skubiszewski. A Cole (mezzo-soprano, psaltery, drum), Kirkman, K (violin, viola, harp, voice, Tibetan bell). 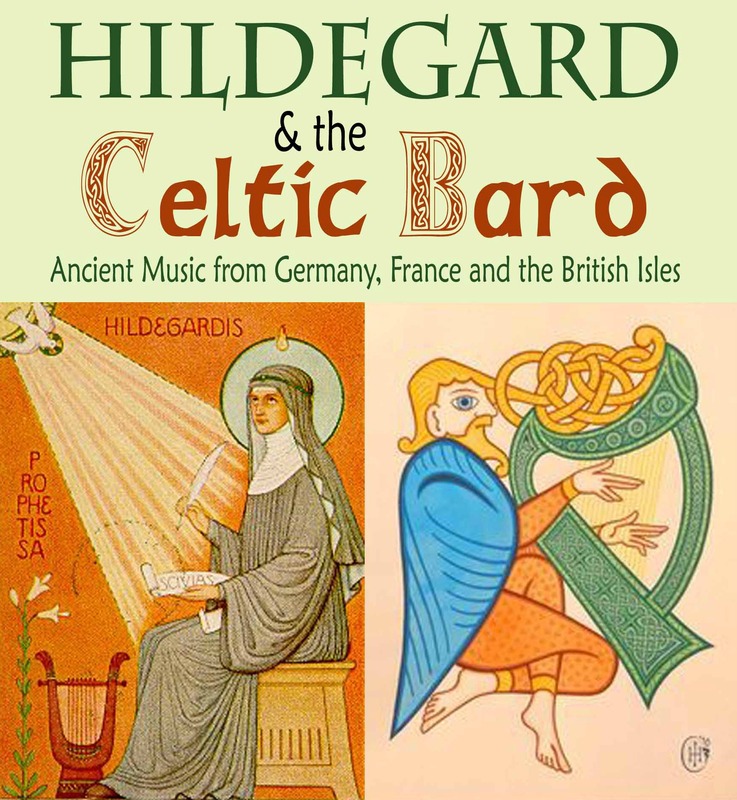 Hildegard and the Celtic Bard. Ancient Music from Germany, France and the British Isles. Cole & Kirkman. Lift Gallery, Maleny, October 2017 and The Domes, Conondale, November 2017. Cole, A (mezzo-soprano) and Pacific Chamber Players (2017, 10-11 June). 4MBS Festival of Classics 2017. English Ayres and Graces. (Chamber music by Rebecca Clarke, Vaughan Williams, Grainger, Britten, Gerald Moore). Coolum and Caloundra, Qld. Cole, A (mezzo-soprano and psaltery), A Harris (visual art), H Merika (sets & installation) and J Kadlecek (narrator). Three Forces of the Soul: Hildegard of Bingen. Inaugural Horizon Festival featured event. Musical play (by Amanda Cole). Eumundi, Queensland, Australia. Cole, A (mezzo-soprano) and Pacific Chamber Players (2016, 4-12 June). 4MBS Festival of Classics 2016. To Russia with Love (Chamber music by Prokofiev, Tchaikovsky, Rimsky-Korsakov and Stravinsky). Coolum and Caloundra, Qld. Cole, A (mezzo-soprano) and Pacific Chamber Players (2015, 22-23 August). Baroque Brilliance (Vivaldi’s Stabat Mater and Sol da te). Cooroy Butter Factory and Eudlo Hall, Queensland, Australia. Cole, A (mezzo-soprano) and J Brewer (harpsichord) (2015, 9 May). Songs of Johann Philipp Krieger. Cooroy Fusion Festival. Cooroy Butter Factory, Cooroy, Queensland, Australia. Cole, A (mezzo-soprano, artistic direction and curating), C Madden (concept development and stage direction), J Brewer (piano, recorder and harpsichord), W Brewer (guitar, cornett and percussion), A Paszkowski (viola) (2014, 25 October-2 November). Geist: The German Genius and Spirit in Song from the 12th to the 20th Centuries. Supported by the Regional Arts Development Fund and the Queensland Government. Good Shepherd Chapel Noosaville, Caloundra Regional Gallery and Cooran Hall, Queensland, Australia. Cole, A (mezzo-soprano), J Lemalu (bass), D Hamilton (tenor), L Johnston (soprano), D Burchell (conductor) (2013, 10 December). Handel’s Messiah, City Choir Dunedin and Southern Sinfonia, Dunedin Town Hall, Dunedin, New Zealand. Cole, A (mezzo-soprano), A Goode (soprano), J Cweorth (recorder & director) (2012, 1 December). Proud Fire or Sacred Fear: Songs and Instrumental Music by Henry Purcell. Rare Byrds Early Music Consort, Seacliff Chapel, Dunedin, New Zealand. Cole, A (mezzo-soprano, curating) and J van Buskirk (piano) (2012, October). Poems of Paul Verlaine: Fauré, Debussy, Hahn. Society of Women Musicians. Hutton Theatre, Otago Museum, Dunedin, New Zealand. Cole, A (mezzo-soprano), E Fraser (soprano), M Wilson (tenor), J van Mellaert (bass), J van Buskirk (piano), S Crawshaw (piano), S Mace (harmonium), D Burchell (conductor) (2012, 29 September). Rossini: Petite Messe Solennelle. City Choir Dunedin, Knox Church, Dunedin, New Zealand. Youtube: and . Cole, A (mezzo-soprano), R Shurbutt (soprano) and J van Buskirk (piano) (2012, 16 June). Angels and Aristocrats. Chamber Music New Zealand. Dunedin Public Art Gallery, Dunedin, New Zealand. Cole, A (mezzo-soprano and curating), J van Buskirk (piano), D Hollebon (viola) (2012, 13 May). Art Song, Poetry and Painting: Fauré, Debussy, Hahn and Brahms. Dunedin Musical Society, Mornington Church, Dunedin, New Zealand. Cole, A (mezzo-soprano), P Becker (soprano), G Park (soprano), C Clifford (alto), S Chambers (tenor), J van Mellaerts (bass), D Burchell (conductor) (2012, 30 March). Beauty of Baroque. City of Dunedin Choir. Knox Church, Dunedin, New Zealand. Cole, A (mezzo-soprano), R Shurbutt (soprano), K Knudsen (conductor) (2009, 5 April). The Premiere of Karen Knudsen’s Stabat Mater. Knox Choir and Orchestra, Knox Church, Dunedin, New Zealand. Cole, A (Forthcoming 2018-19). “Constellation Mentorship: Defining the Mentorship Model of the Alexander Technique.” In Behind the Scenes. Fictional, Artistic and Scholarly Mentoring Partnerships. eds. Gregoria Manzin and Veronique Duche. Classique Garnier, Paris. Cole, A (2015). “Do you Really Mean That? Towards Precise, Considered and Constructive Language in Performance Teaching.” Australian Journal of Music Education 3, 4-15 . Cole, A (2015, September). “Do you Really Mean That? Towards Precise, Considered and Constructive Language in Performance Teaching.” ANZARME 37th Conference, Australian Catholic University, Melbourne. Cole, A (2013, July). “Getting the Most out of the Alexander Technique: A Coordinated Response to Performance. Constructive Thinking, Clear Intention and the Importance of the Whole.” International Congress of Voice Teachers, Queensland Conservatorium, Brisbane. Cole, A (2012, September). “Critical Pragmatism and the Performing Arts: Alexander, Dewey, Barstow and Madden.” International Alexander Technique and the Performing Arts Conference, Victorian College of the Arts, University of Melbourne. Cole, A (2011, November). “Brown Shoes: An Excavation and Examination of the Rules of Performing ‘Serious’ Music.” Psycholloquy, University of Otago, Dunedin.